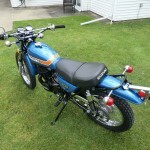 Restored 1973 Suzuki TS400 Motorcycle. This immaculate Suzuki TS400 was restored from the frame up by Robert Kerr from Jackson Michigan. The frame and all of the other black items were professionally powder coated in gloss black. 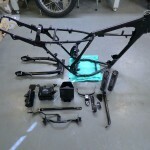 The front forks were completely disassembled and cleaned. New seals were installed and the lower legs were finished in a stock brushed look and then powder coated clear. 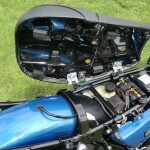 All the blue body parts were carefully stripped and refinished with the stock blue colour. New tank graphics were installed. 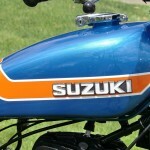 The original Suzuki emblems on the gas tank were restored. 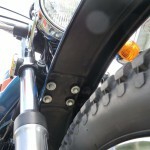 The badges on the side panels were replaced with genuine Suzuki emblems. 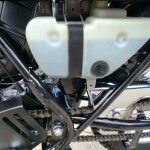 A new Suzuki gas cap was installed along with a new rubber rear hold down strap. 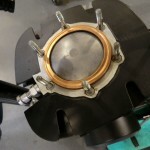 The original fuel petcock was disassembled and rebuilt with new seals and o-rings. 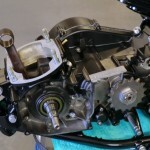 The carburettor was completely disassembled, cleaned and rebuilt with new Suzuki jets, needle, seat and gaskets. 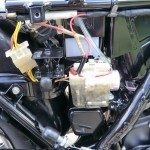 The float assembly was replaced. 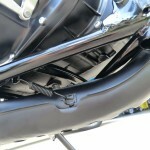 The chrome parts on the bike were stripped and re-chromed. 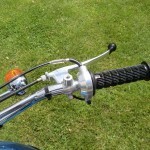 Both levers were replaced with new old stock items. 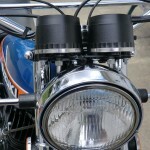 The original front turn signals were re-chromed, reconditioned and fitted with new Suzuki lenses. 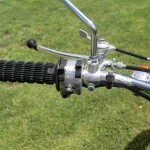 The rear turn signals were replaced with new Suzuki short stem items. 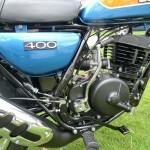 A fabulous Suzuki TS400 Motorcycle restored by Robert Kerr. 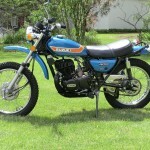 Suzuki TS400 – 1973 For Sale or Wanted? 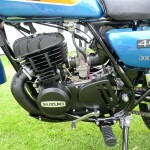 If you're looking for the perfect Suzuki TS400 – 1973 for sale then take a look at the hundreds of restored classic motorcycles listed on our extensive Motorcycles For Sale pages. 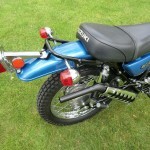 We regularly feature very nice restored Suzuki TS400 – 1973 bikes for sale. 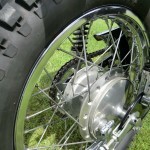 Spares and Parts for your Suzuki TS400 – 1973? 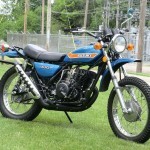 Workshop Manual for your Suzuki TS400 – 1973? That really brings back memories for me. 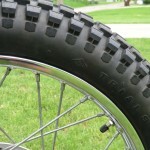 I bought a 1973 TS400 and 1973 TM125 brand new. Wish I had the 400 still, but it was stolen from a friends house almost 40 years ago. Absolutely beautiful! If you decide to sell it please let me know. 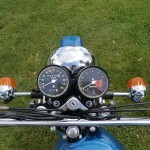 Hi, Bruce we’re an enthusiast website displaying photos and stories of some wonderful bike restorations. How much for the Suz TS400? Where are you?